Hamas spokesman blasts PA chairman Abbas for telling American students he seeks negotiations with Israel. Hamas strongly criticized Palestinian Authority Chairman Mahmoud Abbas for stating that he would be willing to negotiate with Israel. 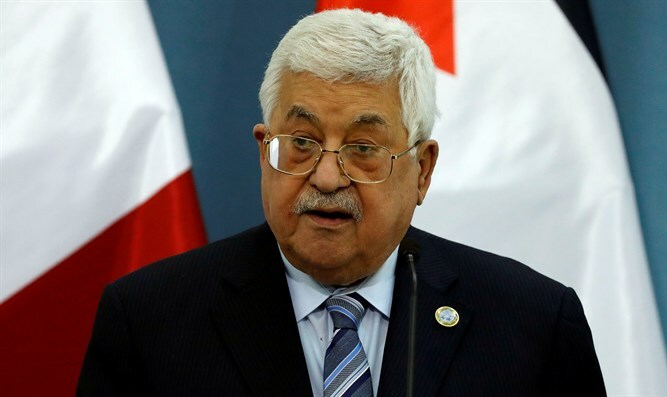 In a meeting with American students at the presidential headquarters in Ramallah, Abbas said, "We want to exercise our rights and our country in peaceful ways, that is, through negotiations." "We will never choose another way to realize our right, but through negotiations, and we always say that we are reaching out to the Israeli government, which the Israeli people will choose, in order to negotiate under the foundations which we did not choose, but rather were dictated by international norms," Abbas said. Hamas spokesman Abd al-Latif al-Qanou called Abbas' words "a scorn for the national and popular [Palestinian] position that opposes it." Qanou also said that this statement "serves only the Zionist occupation and expresses cover for its ongoing crimes against our people." "This reflects the state of bankruptcy that the Palestinian (supporting) team has reached in the settlement of the conflict."